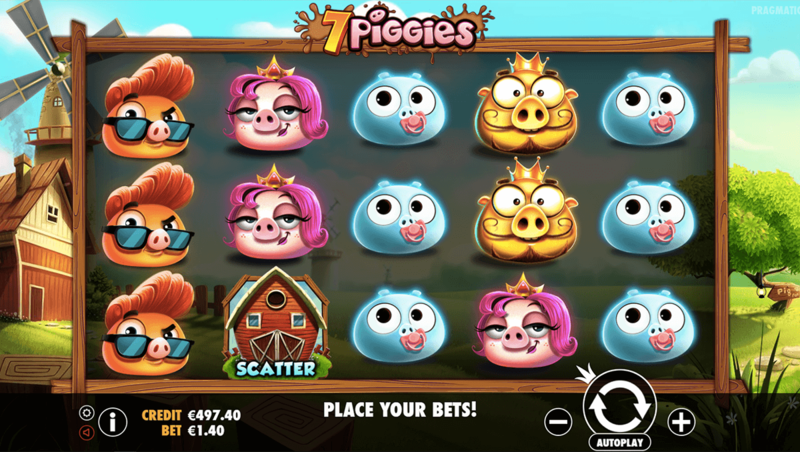 Derived from it’s not so misleading title, 7 Piggies is a Pragmatic Play slot filled with a variety of pig characters who live on a blissful farm. Each individual pig has its own personality and can reward you in different ways. 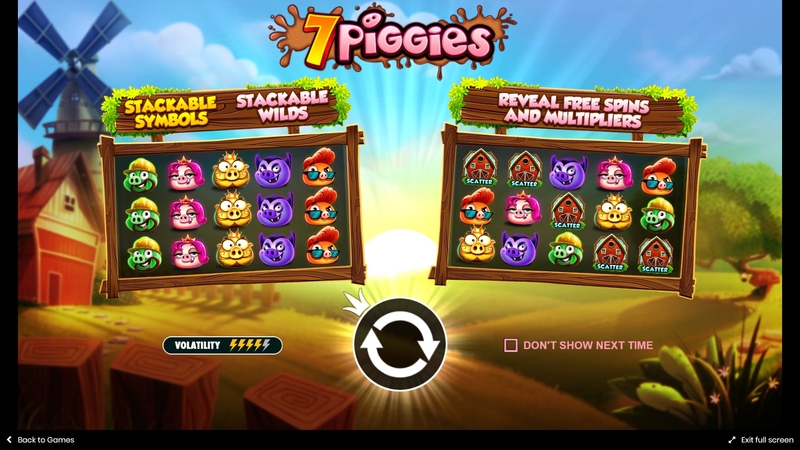 7 Piggies is a 5-reel slot with only 7 pay lines in-play. Although the base game has a novelty aspect to it, the Stacked Wild and Free Spins Feature take this game to a different level. If you’re ready to dive into the mud and wrestle with the pigs for some big wins then start playing today. With the 7 Piggies new slots. Discover more slot games, click now. 7 Piggies greets you with a country jingle to get you in the mood for the adventure that awaits. It’s low to medium volatility will keep your balance ticking over whilst you wait for the lucrative Free Spins Feature. * STACKED WILDS – The Golden WILD pig symbol will substitute for all other symbols expect the SCATTER. * FREE SPINS FEATURE – To activate the Free Spins FEATURE you must hit 3 or more of the barn SCATTERS. Once you’ve activated the bonus, you’ll be awarded 5 free spins and a 1x multiplier. In addition, you’ll be given 3 barn symbols to open which will give you additional spins or multipliers. The potential rewards are: 3, 5, 8 or 10 free spins and 1x, 2x, 3x, or 5x multiplier. You’ll be able to re-trigger an additional free spins bonus and the same process will take place. Once you’ve finished your initial bonus, the re-triggered bonus will begin. Read more about how pay with phone credit slots. Although 7 Piggies is a vibrant and upbeat slot with charming animated characters, it isn’t one of Pragmatic Play’s leading titles. Nevertheless, the stacked wilds and free spins feature are more than enough to make this game worthwhile.